The twenty-third president of the United States, born at North Bend, near Cincinnati, Ohio, on the 20th of August 1833. His great-grandfather, Benjamin Harrison of Virginia (c. 1740-1791), was a signer of the Declaration of Independence. His grandfather William Henry Harrison was the ninth president of the United States. His father, John Scott Harrison, represented his district in the national House of Representatives in 1853-57. Benjamin's youth was passed upon the ancestral farm, and as opportunity afforded he attended school in the log schoolhouse near his home. He was prepared for college by a private tutor, studied for two years at the Farmers' College, near Cincinnati, and in 1852 graduated from Miami University, at that time the leading educational institution in the State of Ohio. From his youth he was diligent in his studies and a great reader, and during his college life showed a marked talent for extemporaneous speaking. He pursued the study of law, partly in the office of Bellamy Storer (1798-1875), a leading lawyer and judge of Cincinnati, and in 1853 he was admitted to the bar. At the age of twenty-one he moved to Indianapolis. He had but one acquaintance in the place, the clerk of the federal court, who permitted him to occupy a desk in his office and place at the door his sign as a lawyer. Waiting for professional business, he was content to act as court crier for two dollars and a half a day; but he soon gave indications of his talent, and his studious habits and attention to his cases rapidly brought him clients. Within a few years he took rank among the leading members of the profession at a bar which included some of the ablest lawyers of the country. His legal career was early interrupted by the Civil War. His whole heart was enlisted in the anti-slavery cause, and during the second year of the war he accepted a commission from the governor of the state as second-lieutenant and speedily raised a regiment. He became its colonel, and as such continued in the Union Army until the close of the war, and on the 23rd of January 1865 was breveted a brigadier-general of volunteers for "ability and manifest energy and gallantry in command of brigade." He participated with his regiment in various engagements during General Don Carlos Buell's campaigns in Kentucky and Tennessee in 1862 and 1863; took part in General William T. Sherman's march on Atlanta in 1864 and in the Nashville campaign of the same year; and was transferred early in 1865 to Sherman's army in its march through the Carolinas. As the commander of a brigade he served with particular distinction in the battles of Kenesaw Mountain (June 29 to July 3, 1864), Peach Tree Creek (20th of July 1864) and Nashville (15th-16th of December 1864). Allowing for this interval of military service, he applied himself exclusively for twenty-four years to his legal work. The only office he held was that of reporter of the supreme court of Indiana for two terms (1860-62 and 1864-68), and this was strictly in the line of his profession. He was a devoted member of the Republican party, but not a politician in the strict sense. Once he became a candidate for governor, in 1876, but his candidature was a forlorn hope, undertaken from a sense of duty after the regular nominee had withdrawn. He took a deep interest in the campaign which resulted in the election of James Garfield as president, and was offered by him a place in his cabinet; but this he declined, having been elected a member of the United States Senate, in which he took his seat on the 4th of March 1881. He was chairman of the committee on territories, and took an active part in urging the admission as states of North Dakota, South Dakota, Washington, Idaho and Montana, which finally came into the Union during his presidency. He served also on the committee of military and Indian affairs, the committee on foreign relations and others, was prominent in the discussion of matters brought before the Senate from these committees, advocated the enlargement of the navy and the reform of the civil service, and opposed the pension veto messages of President Grover Cleveland. Having failed to secure a re-election to the Senate in 1887, Harrison was nominated by the Republican party for the presidency in 1888, and defeated Grover Cleveland, the candidate of the Democratic party, receiving 233 electoral votes to Cleveland's 168. Among the measures and events distinguishing his term as president were the following: The meeting of the Pan-American Congress at Washington; the passage of the McKinley Tariff Bill and of the Sherman Silver Bill of 1890; the suppressing of the Louisiana Lottery; the enlargement of the navy; further advance in civil service reform; the convocation by the United States of an international monetary conference; the establishment of commercial reciprocity with many countries of America and Europe; the peaceful settlement of a controversy with Chile; the negotiation of a Hawaiian Annexation Treaty, which, however, before its ratification, his successor withdrew from the Senate; the settlement of difficulties with Germany concerning the Samoan Islands, and the adjustment by arbitration with Great Britain of the Bering Sea fur-seal question. His administration was marked by a revival of American industries and a reduction of the public debt, and at its conclusion the country was left in a condition of prosperity and on friendly terms with foreign nations. He was nominated by his party in 1892 for re-election, but was defeated by Cleveland, this result being due, at least in part, to the labor strikes which occurred during the presidential campaign and arrayed the labor unions against the tariff party. After leaving public life he resumed the practice of the law, and in 1898 was retained by the government of Venezuela as its leading counsel in the arbitration of its boundary dispute with Great Britain. In this capacity he appeared before the international tribunal of arbitration at Paris in 1899, worthily maintaining the reputation of the American bar. After the Spanish-American War he strongly disapproved of the colonial policy of his party, which, however, he continued to support. 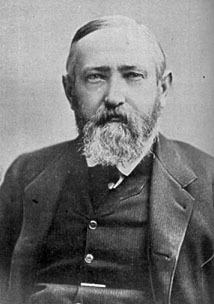 He occupied a portion of his leisure in writing a book, entitled This Country of Ours (1897), treating of the organization and administration of the government of the United States, and a collection of essays by him was published posthumously, in 1901, under the title Views of an Ex-President. He died at Indianapolis on the 13th of March 1901. Harrison's distinguishing trait of character, to which his success is to be most largely attributed, was his thoroughness. He was somewhat reserved in manner, and this led to the charge in political circles that he was cold and unsympathetic; but no one gathered around him more devoted and loyal friends, and his dignified bearing in and out of office commanded the hearty respect of his countrymen.